HOW MANY PORTIONS OF CAKE DO I NEED? There’s no right or wrong with this one. Some brides choose to have a portion of cake for every guest that is going, however with this approach you may find you have a lot of leftovers at the end of the night! Generally venues will serve the cake with the evening food, so it’s left for guests to help themselves, which doesn’t always happen when they’re up having a drink and a dance and a good time! You may also get guests who don’t eat cake, who don’t like the flavours you have chosen, or who are on diets (although I don’t think a little piece of cake will hurt ;). I usually suggest catering for around 80-85% of your total guest numbers to avoid this happening, so if you’re having 100 guests, go for around 80 portions of cake. You could also take the view that you order say 80 portions of cake, and if your guests get some cake then great, and if not they should have got some sooner! HOW MANY TIERS OF CAKE CAN I HAVE? This depends on how tall a cake you would like! 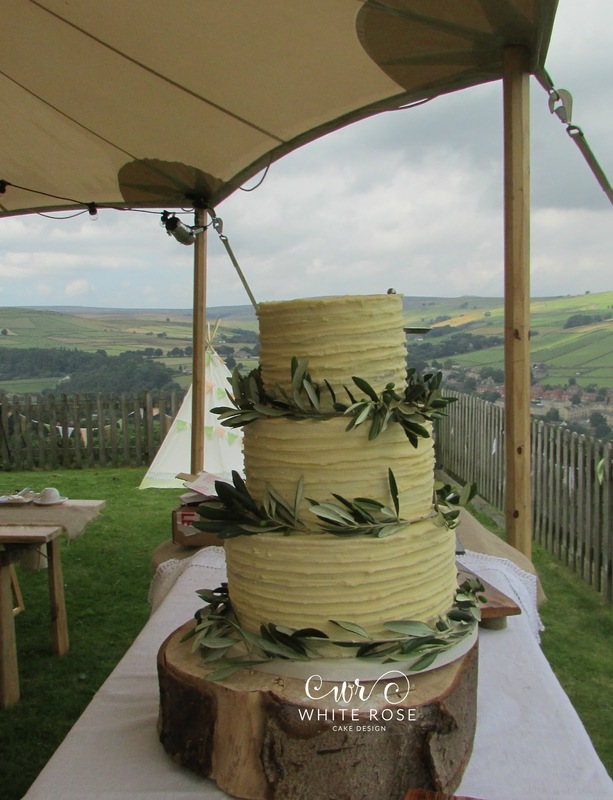 Each of our tiers is around 4″ deep, giving a nice elegant feel to the cake. If you want a tall multi tiered cake but don’t want so much cake, we can use fake tiers to add the height without the cake. 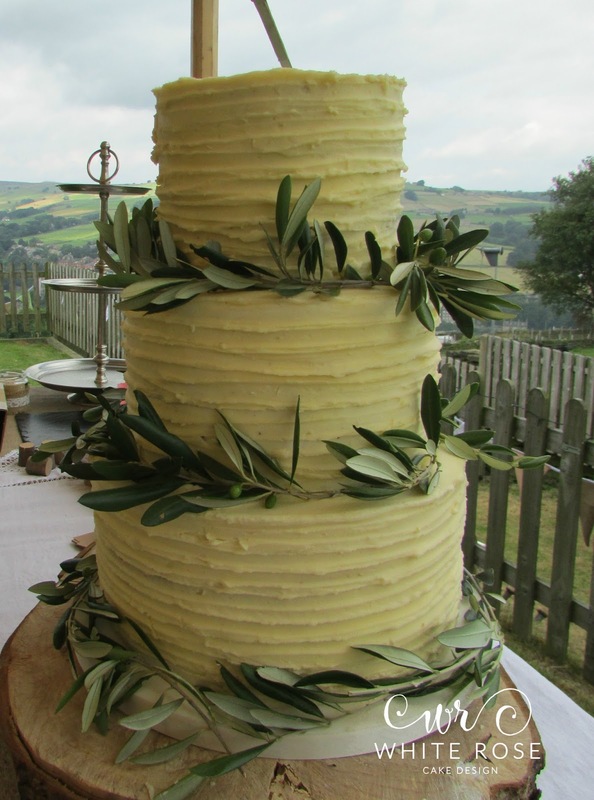 As an example, if you wanted to serve around 70 we would usually suggest 3 tiers, but if you wanted a larger cake we could add fake tiers in for you. Contrary to popular belief, there is only a marginal cost saving in having fake tiers as opposed to real cake, as the majority of the work can be in decorating the iced tier. Of course! It’s your wedding cake, so have whatever you want flavourswise! We get a lot of brides opting for either one or two flavours, but we do have some brides who want to offer their guests a range of flavours so choose a different flavour per tier. We have a list of flavours on our website HERE. I WANT A FRUIT CAKE TIER BUT DON’T WANT THIS TO BE THE BASE TIER. IS THIS POSSIBLE? Definitely. All our cakes have internal supports in the form of cake boards and dowels, providing a little internal scaffold system and stopping the cake tiers crushing each other. It used to be the case that fruit cake tiers, due to their weight, went at the bottom of the cake, but if you go for this option you can end up with a looooootttt of fruit cake (especially as fruit cake servings are generally 1″ x 2″). Generally now our brides are choosing to have a smaller fruit cake tier, either the top or second one down, and we’re happy to do this. ARE THE SUGAR FLOWERS EDIBLE? Depending on the sugar flower, it can be made incorporating metal wires (e.g. in trailing leaves) so we generally advise that they are not edible. They also taste horrible, despite being made of sugar! They are best for decoration purposes only and should be removed before the cake is served. Of course! No-one wants the responsibility of travelling with a wedding cake in the car, as they are very fragile. I also like to make sure the cake is properly set up at the venue, as chances are I’ll have been working all week on the order and I like to see it looking its best. I personally deliver and set up all our wedding cakes, so you can rest assured your cake will arrive at your venue and be set up looking amazing for when the happy couple arrive. CAN YOU CATER FOR ALLERGIES? I cater for coeliacs, in that I can bake with gluten free flour, and can make dairy free cakes. I don’t however make eggless cakes (I haven’t had time to perfect a recipe yet) unfortunately, sorry. The best way for us to start is by checking we are available for your chosen date and if you can send us some rough ideas of what you have in mind, we can work out some prices for you. If you’re happy with the initial prices, we can arrange a tasting and design consultation to discuss the finer points (and allow you to taste some cake!). After our chat, I will come up with some designs for you and email everything over to you. To book, sign a copy of the order form and send it back with your deposit, which is 50% of the price of the cake, and we can get you in the diary. The balance for the cake is due the week before your wedding, and we’re available at any point in between in case you have any queries or need to make any changes to your order. We’re happy to make any changes for you, up until 2 weeks before your wedding, as this is when we start making sugar flowers and ordering other materials in. I hope this clears up some of the more common queries, and if you have any more questions please get in touch! So we’re really lucky in Holmfirth to have a beautiful vineyard with stunning views over the valleys about 10 minutes away! Jamie and Anna chose those amazing venue for their wedding recently and I was lucky enough to make their wedding cake. The ceremony took place among the vines in front of an amazing flower arch created by Fiona at Fiorenza Flowers and the reception was held in a PapaKata sperry tent. Mode for… Events organised the whole thing and did an amazing job!